I hope you had a lovely weekend and especially if you’re in the UK, enjoyed our summer weather which has now arrived in earnest. This month’s Garden Flowers post, which I write with Rona Wheeldon of Flowerona, features the Scabiosa caucasica. 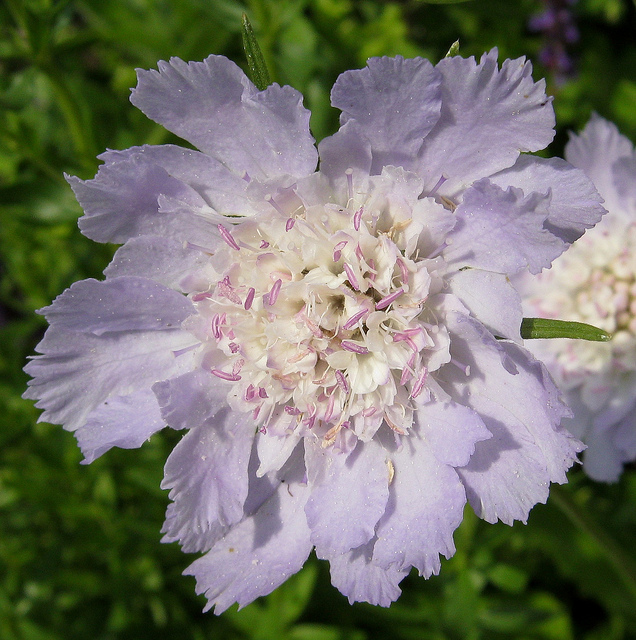 Scabiosa caucasica is a popular cottage garden plant whose flowers have delicate, frilly petals surrounding a pincushion centre…hence their common name, Pincushion flower. Their long, needle-like pistils are said to resemble pins sticking into a pincushion. Another common name for this pretty bloom is Caucasian Scabious. The name ‘Scabiosa’ derives from the word scabies, which comes from the Latin word scabere meaning ‘to scratch’. 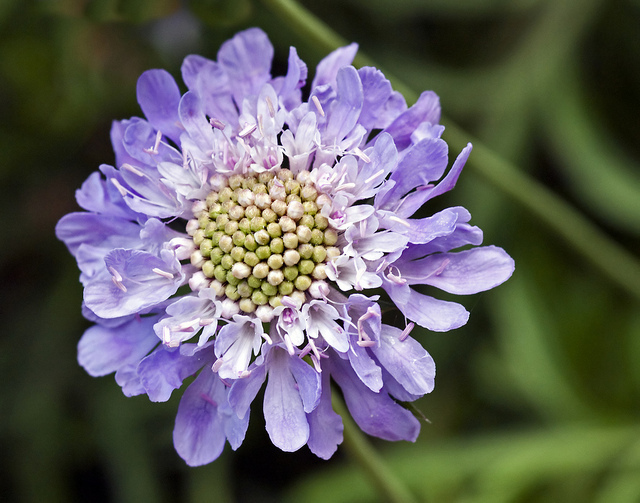 In medieval times, Scabious plants were believed to relieve the itch of scabies and other skin conditions. 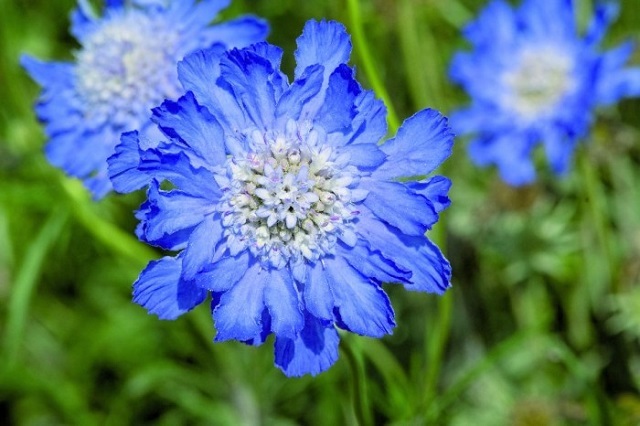 Scabiosa caucasica ‘Clive Greaves’ is a very well-known variety with its lavender-blue flowers. And ‘Fama’, with its richer lavender-blue flowers, is also popular. 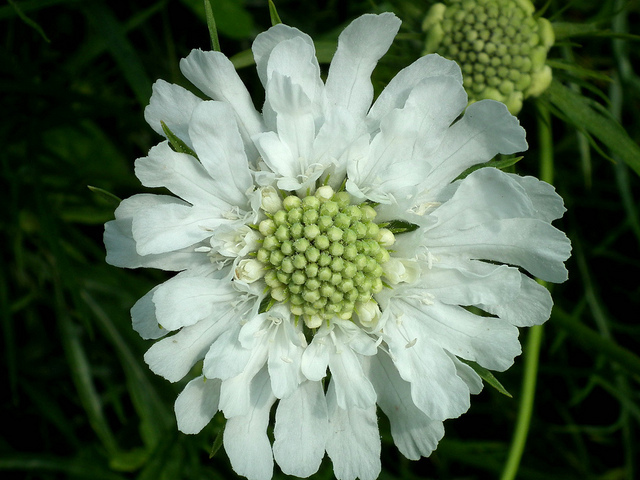 Scabiosa caucasica ‘Alba’ is a white variety and a creamy-white variety is ‘Miss Willmott’. Their flowering season is generally from July to September and they like to grow in full sun and slightly alkaline soil that is well-drained. 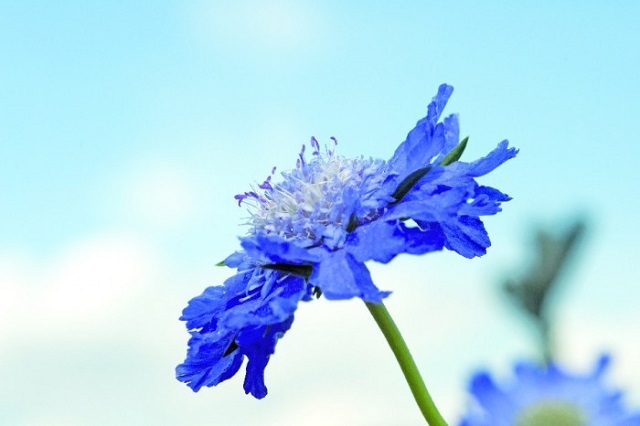 If you’re looking to attract wildlife into your garden, in the form of bees and butterflies, then this hardy perennial would be the perfect choice. It’s best suited to cottage garden style or informal prairie planting and looks fabulous planted with grasses and other later flowering perennials such as Penstemon ‘Raven’ and Perovskia ‘Blue Spire’. Plant in groups of three or more to create a rhythm of colour around the garden. They’re also ideal plants for cut flowers and benefit from the blooms being cut regularly, as it encourages them to produce even more flowers.